Former Denver Broncos players love ActivArmor! Two former Denver Broncos players, are big fans of ActivArmor. 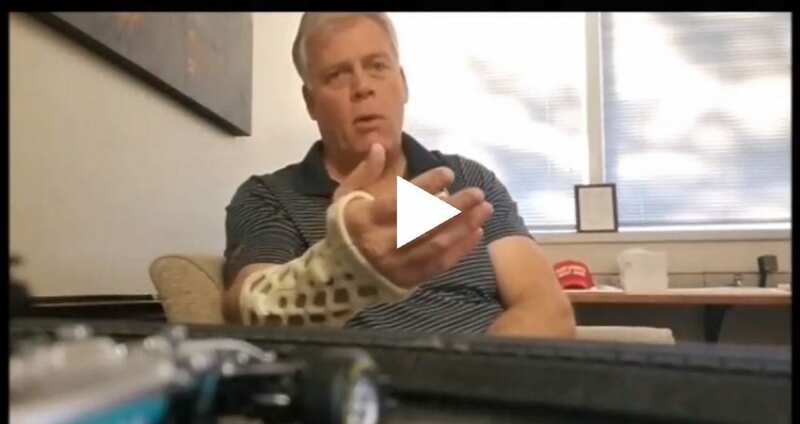 Their experiences with these revolutionary, waterproof, hygienic, custom, 3D-printed casts and splints, show the huge value to professional athletes like themselves. Don Summers, a former tight end in the National Football League, played two seasons with the Denver Broncos, before playing with the Green Bay Packers during the 1987 NFL season. He played at the collegiate level at Boise State University, and the Oregon Institute of Technology. Antwon Burton is a former NFL defensive tackle. He was signed by the Denver Broncos as an undrafted free agent in 2006. He played college football at Temple. He is now running Next Level Performance in Pueblo, Colorado.